Place the corn in a pot with water to cover. Cover and bring to a boil. Cook 3 to 5 minutes or until tender. 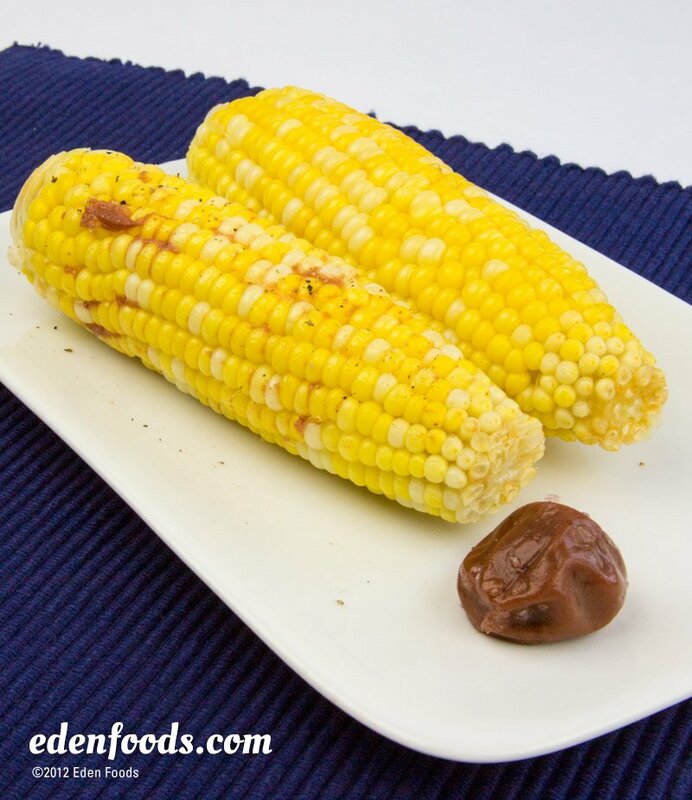 Remove the corn and simply rub a little umeboshi plum evenly on each ear of corn. Better than butter! Eden Umeboshi Paste may be used in place of umeboshi plums, if desired.